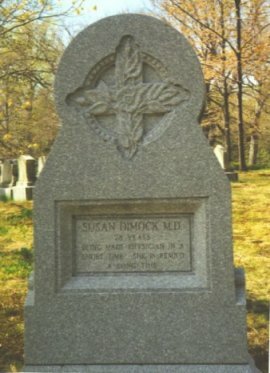 Susan Dimock was not a nurse, but along with Marie E. Zakrzewska, was a physician instrumental in the founding of early training programs for nurses. A native of the American South, Dimock was encouraged by Dr. Zakrzewska to attend medical school in Switzerland. She completed the University of Zurick program in 1871 and spent a year observing hospitals in Europe. During this time she visited Kaiserwerth and met with Florence Nightingale in England. 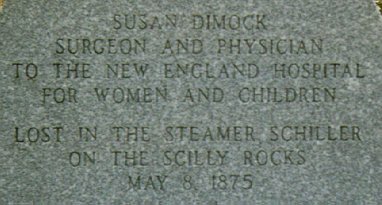 When she returned to the United States in 1872 she was appointed the resident physician of the New England Hospital for Women and Children which was founded by Dr "Zak" in 1862. The training of nurses was one of the goals of this new facility and the first class of pupils was admitted in 1872 with Dr. Dimock guiding the early program and lecturing on surgical nursing. 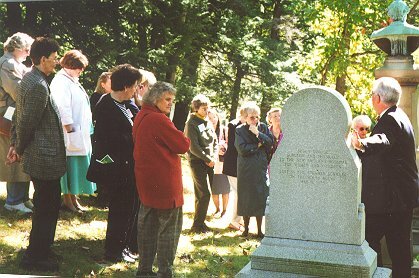 Linda Richards was the first to complete the twelve month program on October 1 of 1873. Mary Eliza Mahoney, the first trained black nurse in the country, graduated from this school in 1879. Kalisch, B. Kalisch, P. (1995). 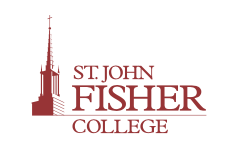 The advance of American nursing. 3rd edition. Philadelphia: Lippincott.